What is a glass railing? A glass railing, also called a guard rail or a glass balustrade, is a protective barrier that is ensuring the safety of different areas. A bespoke glass railing is usually installed to secure an access such as a staircase, a patio, a balcony or a swimming pool. 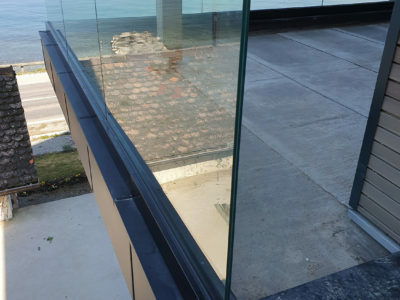 A glass railing can be declined in multiple forms and materials. 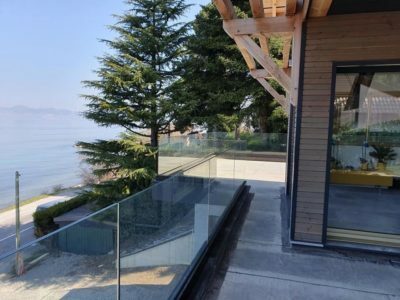 Why choose a glass railing? 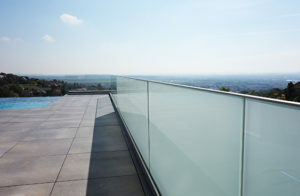 Glass is a noble material that is suitable for the production of bespoke a glass railing. A glass railing is known for its aesthetics, it adapts itself perfectly to any type of environment, you can also associate this material easily with wood or stainless steel. A glass railing brings its own style to different spaces while providing a protection. It brings a special character to your home and provides a handsome look to your patio, balcony, staircase or window. 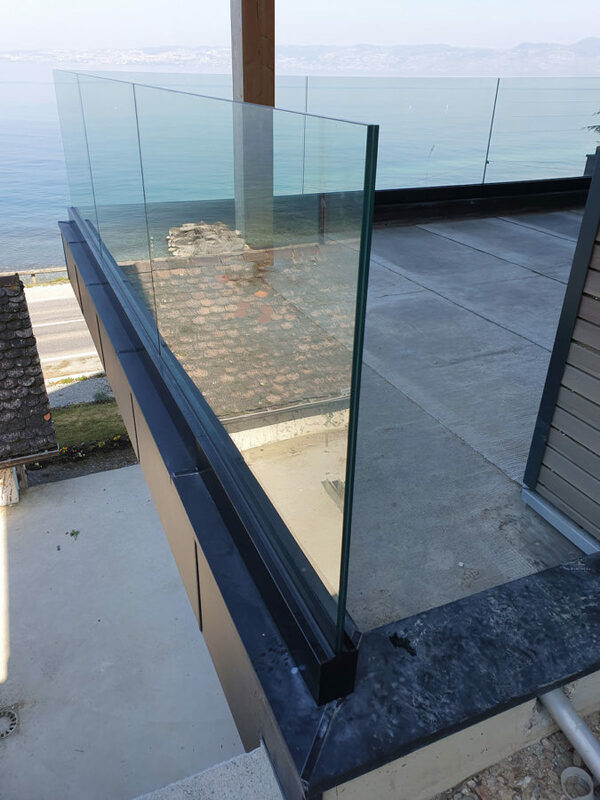 In addition to being particularly stylish, a glass handrail will fully achieve its primary protective function. 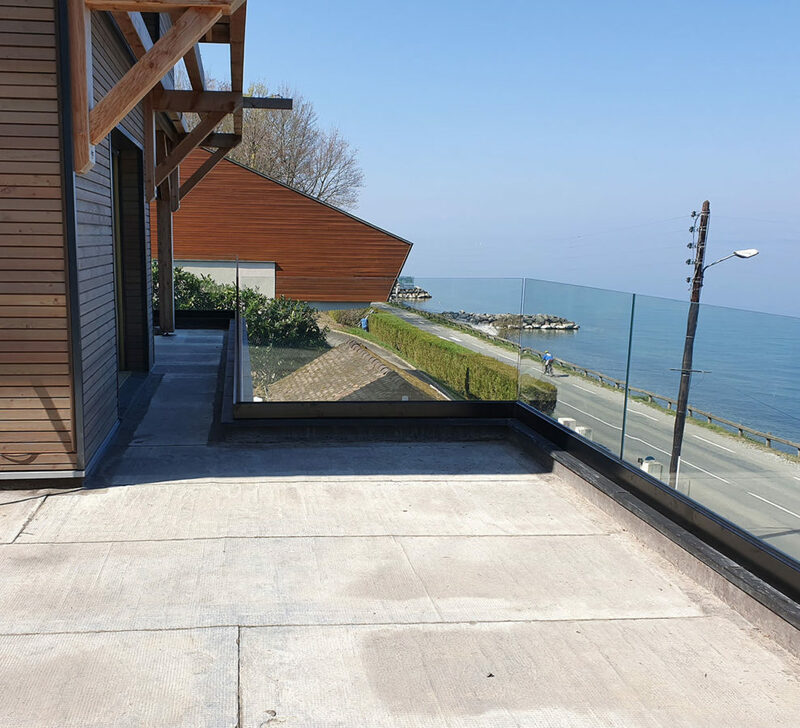 The installation of a bespoke glass railing has to meet several standards. Righetti is at your disposal to guide your through the production and installation of a glass barrier. 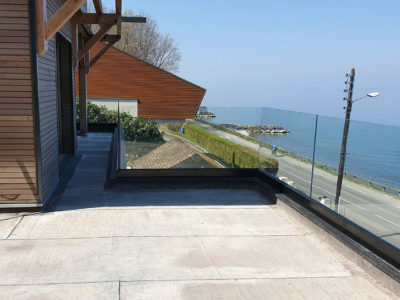 A glass railing allows to get a clear view of your landscape while ensuring the safety of its users. A balcony or a patio glass railing blends itself into the background of your exterior decoration. You can rearrange your balcony and enjoy the view of your landscape. 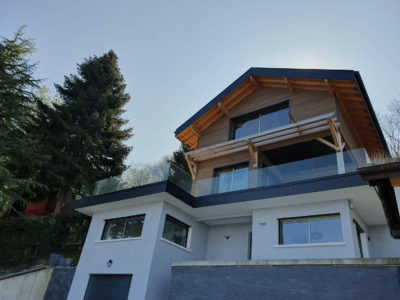 Our latest glass railing installation is the perfect example. 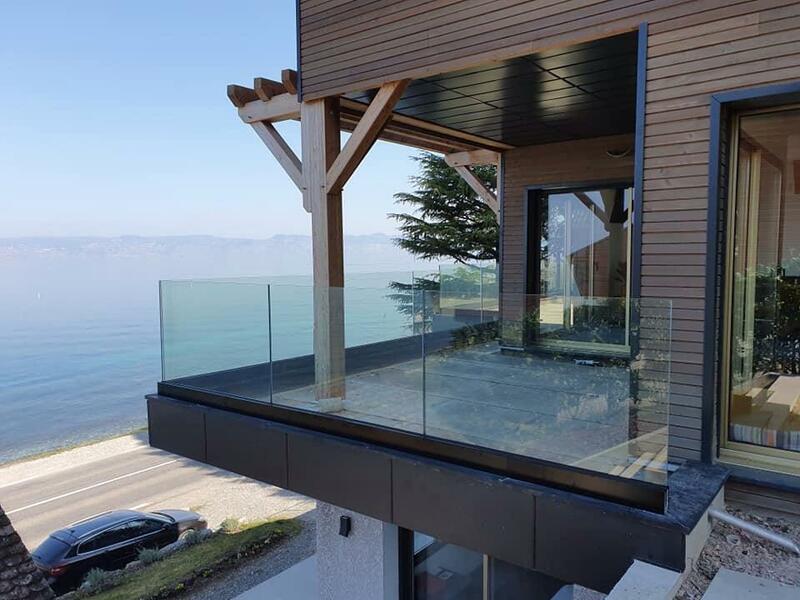 This glass balustrade allows to enjoy the beautiful landscape of Haute-Savoie in France while protecting the patio of this house. This glass handrail is made of 88.3 tempered laminated glass using our Garda F range.